Address: 14721 Whitecap #289 Location: Corpus Christi Type: Condominium View: Near The Ocean Area: 425 Sq.Ft. I have only wonderful things to say about my rental experience. Walking distance to the beach, the pool/fitness center/hot tub is 24/7, the king size bed is EXTREMELY comfortable, there is a roll-away bed in the master closet, the property management company was friendly and helpful, and the location is ideal. I will definitely be booking this spot again. Great little place to stay. Complex is beautifully kept and so is the unit. My only teeny complaint is the noisy bed springs. I didn't sleep much because every time my husband moved (which is a lot!) the bed squeaked so bad it woke me up. Other than that, perfect place to stay! Property management did upset me a little when they called and asked where the pool key was. We had dropped it off at the office with a person well before check out time. When I explained that I was spoken to kind of rudely. I am assuming and hoping they found it. Thank you for the feedback. I apologize if someone came off as rude, that was certainly not our intent. Since your stay owner has replaced the bed with a new king size one. Hope we see you back again soon. The property is exactly as shown in the pictures, very clean and tidy with a comfortable King-size bed! Exactly what we were looking for....we would definitely recommend this property!! A few steps from the pool and a sea view from the west facing balcony. It was a very quiet complex while we were there which was great for us, felt like having a private pool :-) The only issue was that the complex management took it upon themselves to turn the heating to the pool off (April 4) so it was frigid in the water!!! The hot-tub didn't work properly while we were there either....were told it had been like that for a couple of months.....not good when the owner of your property is paying a large amount of money in homeowner fees!!! It was amazing! The bed was a little uncomfortable but overall enjoyed our stay. We will be coming back soon. I wasn't expecting such a dated unit (finishes, appliances, etc), but overall the condo was an average place to stay for a weekend at the beach. The property's pool area was very dated, and didn't appear to have been cleaned in a while. The biggest complaint we had was that we had to deal with ants in the unit the entire weekend. Although the owners sprayed, there were still ants crawling around the entire unit all weekend. Made it a little tough to relax. We apologize for the ants issues. They've been a tough battle this summer, they (like all of us) are just looking for some cool air to get out of the heat. We do appreciate your feedback and we'll certainly use it to improve our services. We love this condo. It's stocked and furnished well. We love the complex....nice pool, clubhouse and fitness center. The property location is very convenient to the beach, stores and restaraunts. The room we stayed in was beautiful and neat and clean, they did an awesome job at making to homey and putting good quality things to use. Such as the soap and makeup remover wipe etc . The area was peaceful beautiful, they def have the place well kept and will recommend this place to others. Good place to live for short time. Only pain part was, 'tooooooooo many mosquitoes'. Perfect! And so close to the beach. Those are some odd rankings for a "great stay." Hope we see you back again soon. We had a wonderful back-to-school getaway. The property was exactly as described and working with Padre Escapes and will DEFINITELY be back! Very clean with a good view of the gulf from room. I'm sure we will be staying there again. Condo was great but there was a major and problem. Other than that, the location was amazing and the condo was clean. I have stayed in these condos before, I like them and will stay again! The condo looks very good on picture; however, one of the sink was leaking which did not discover until few days after in the room. We only had one hand towel and one set of bathtowel for the seven days we stayed so we did not have a set of towel to exchange -- it was a smelly towel we used. It was okay for a week to stay. We apologize for this miscommunication but the unit is stocked with additional towels in the master closet. In addition we would've been happy to supply you with the additional towels. We apologize for the inconvenience. I loved the condo. It was very inviting and cozy and I will definitely consider this property again next time I'm in town. Thank you! We loved this unit and complex! The unit had everything we needed and was comfortable and nice & clean. The complex has nice facilities....we loved the pool and the grilling areas were nice. It's neat that they have a pond with fishing deck. It's also great that you have beach views from balcony and it's so close to the beach! We loved everything about our stay and can't wait to stay there again. We enjoyed the short walk to the beach, the beautiful decor, and the management staff was great. The condo was clean and has the convenience of wi-fi. We found the unit to be well furnished and and comfortable. Cozy couch (although the studio size of the unit can accommodate only a love-seat, which sometimes feels too small) and good quality TV and DVD system, well labeled and easy to use. Balcony affords a nice view, since the unit is on the 2nd floor. Full kitchen, well stocked with lots of pots, pans, glasses, plates, utensils, everything you would need for cooking in on your vacation. Cute coastal decorating, lots of mirrors (which do a lot to lighten up the place and make the most of the space), and walk-in closet. Blackout curtains kept the unit nice and dark, even in the middle of the day. Wifi is offered in the office/gazebo/pool area and doesn't reach to this unit. We should have kept track of all the flies we killed. I would estimate it was over 2 dozen. Although everything seemed clean, the flies were off-putting. Check-out instructions require that you load the dishwasher and start it. That is fine for most of the dishes, but there are some bowls, pans, and and cookie sheets that do not fit in the dishwasher, no matter how you try. It's a very small dishwasher. That would be fine, except no hand washing dish soap was provided. So, that posed a problem. If you are supposed to perform the dishwashing, you should be provided with the materials to do so. Closest to entrance, so road noise is the greatest here, of all the units on the property. This unit is in the building closest to the road. All in all, we would come stay here again. We found this unit to be good value. We apologize for the missing dishwasher soap. That is something we do provide for all of our units and we must have just overlooked it this time. I've never heard a complaint about the flies before. That's odd, we'll keep an eye out for that issue going forward. Thank you for the feedback. We look forward to your return. carpet had sharp objects in it. Couch smelled like people's sweat. Would definitely recommend this condo and complex! My husband and I enjoyed a wonderful long weekend here. The condo size and amenities were perfect for us. The complex is beautiful and quiet and the location is perfect! The beach was great and is just 1 block down the street. It's only $12 for the beach pass for 1 year. Being able to drive your car right on the beach makes it so convenient! This condo is perfect for a family of 4 with small children or 2 adults. Great location, close walk to the beach, and very quiet. Only problem is with the roll away bed. Its extremely uncomfortable. Thank goodness we took our air mattress and placed that on top for our children. That needs to be replaced or add a sofa sleeper. The king size bed was comfortable due to a mattress topper. Dont think I would stay in this room again due to the additional bed isn't worth the price I paid. We have rented from Padre Escapes now 4 times, and all units were at Beach Club. It is not the newest or fanciest place to stay on North Padre and some of the units do need some updating as far as just age-related stuff like staining around air vents, ac unit etc...but Beach Club is SUPER close to Whitecap Beach and has a pool and hot tub and patios with nice views, and the price is always a good value. This unit is small, but fine for a weekend. We did miss having a washer-dryer. 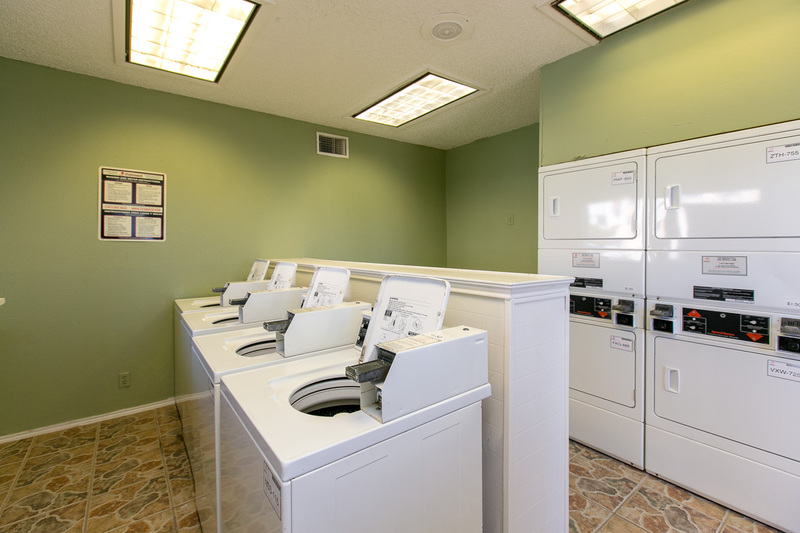 We had a 2 adults and an infant and only needed 1 load of laundry, so the laundry room in the clubhouse was adequate. It accepts cards (found that our AFTER i got $5 in quarters from the CVS). The savings for the smaller unit was a fair trade-off to having in unit laundry. Comfy bed, view of water from balcony, 2nd floor top unit, and a fast-draining tub! All good things. This vacation property was perfect for my daughter and my trip to the Gulf Coast in Texas. The size was perfect for us, property was clean and there was everything there that we needed. Loved how close we were to the beach and also steps to the pool and hot tub. Thanks so much for the ease of check in and check out. Would love to return with my husband one day. Our Honeymoon stay at this property was perfect! Close to everything and relaxing as well. Just a walk to the beach and a short drive to see and do. We had such a good time we stayed an extra night! The Management was eager to please and easy to talk to. We will definately come back! Thanks for a great stay! You never know when those pesky smoke alarms may go off. Happy to hear we were able to take care of it in a timely manner. Hope we see you back again soon. My husband an I have a relaxing three days. Enjoyed looking around town for places to eat. May I say the German bread shop and diner was great. The place was nice, clean and good location. Cant ask for much more. We only had a small issue. We had tons of communication, emails and phone calls, but they forgot to send me the texts that we needed in order to get in. When we did get the message, it had the wrong building. I am not complaining at all, just telling of an issue. Grounds could use an update. Chairs around pool need replacement. As soon as we arrived opened our door we smelled a bad odor similar to bug spray. It could be a nice average priced place to stay with these improvements. Thank you for the feedback, this is the first we've heard of such complaints. We will look into them and address if needed. Had a great time. No complaints except for the people who were dog owners and didn't bother to clean up after their pets or allowed them to soil areas that were away from their own places to stay. Could have been actual owners rather then renters who were responsible. Other then that, great place to stay! Everyone was totally professional. Great location! I love it there! You won't find a better place to stay or staff to deal with. Best vacation ever. Will definitely be coming back. Great little condo close to the beach. I stayed for a month and enjoyed the quiet community and proximity to the ocean. The rental is clean, comfortable, and very charming (looks exactly like the pics). Management was very friendly and always easy to get in touch with. I would definitely stay again! Very quiet and relaxing stay. Condo Was Really nice and close To beach. Great location on the island and only about one block from the beach. Nice community, felt perfectly safe day and night. We accidentally left the car unlocked one night with all our beach gear inside and everything was untouched in the morning. Amenities and common areas were clean and well maintained. This is an efficiency unit, one room, but it doesn't feel small. Perfect for 2 people. Assigned parking was right outside the door. It's on the second floor with a pretty steep staircase. Nicely decorated with a beachy theme. Unit was clean upon arrival and stocked with some starter housekeeping items, which was great. Pots and pans could use an uodate but we did not cook much anyway. We found it perfect for our week-long stay. Rental company was very good to deal with as well. Great location. The staff were very helpful. Enjoyed our walks on the beach. Lots of sea birds. My family would like to personal thank Margaret for picking us up from the auto mechanic shop when we arrived in town. After hearing our scenario she was more than happy to pick us up.. This says a lot about the overall company. I will personally recommend this rental destination to my friends and family. Thought the location and facility were perfect. We had a great time! Glad to hear your trip got better after the rough start! Always glad to help! We love having you guys back and let us know when you're ready for another visit! Thanks! We really enjoyed our stay. The beach is close enough to walk but we drove since I had quite a bit to haul. Even though it's a studio, it is spacious and has a nice little kitchen so you can make some meals there, which is a nice plus. The condo itself is nice. My 2 suggestions -it'd be nice if a bottle of spray cleaner was kept at the condo and the folding bed is very 8 year old complained about sleeping on it and ended up sleeping on the couch. Not sure if there's much you can do about that as most pull out beds and folding beds are. We had a grand time!! The Beach Club was a very nice place to stay.The Condo was nicely furnished. A bit of a walk to the beach but not horrible. Padre Escapes was very easy to work with.Overall a good experience. This property was noisy. Lots of people playing loud music from their cars with the windows open. The owner advertises WIFI from the room. If they buy a router and install it, this will be a true statement. Connectivity to the Clubhouse network is fragile at best. We're very surprised and disappointed by your review. These are complaints we've never received before. Unfortunately cars with loud music are something that can happen anywhere and it's completely out of our control. In no way do we advertise "WIFI in the room." It clearly states in our advertisement "WIFI is only available in the business center as well as the gazebo and pool area" and unless the gym has some recent new additions that we don't know about the pictures we post are 100% accurate. If there are new additions we will shoot some pictures and upload them immediately. I am very sorry to hear about your disappointment with the stay. If you would've notified us during your stay we would have been happy to address them or move you to a more accommodating property. My husband and I stayed at this unit for a long-weekend in February. We found the unit in good condition and thoroughly enjoyed our stay. The beach is a little bit of a hike away (probably 10 minute leisurely walk) or you can drive and park right on the beach. It was not busy. Having the stove and refrigerator is very nice, and we enjoyed several home-made meals (and saved the expense of dining out). There is a great German bakery at the main intersection nearby as well as a gas station and other amenities. We would definitely recommend this location for those looking to get away from the hustle and bustle. We were very happy with our stay and would recommend it to our friends. I did reply to this e-mail a couple of week ago. I hope you receive this one! This is a well managed property. Our studio unit was very clean, the kitchen was amply stocked with utensils,the furniture was in great condition, and it was decorated appropriately. We would stay again, but would probably select a one bedroom unit. Very clean condo,it was like walking into a room that had never been used before.Who ever cleans this place is a credit to the condo owner.Everything seems brand new, the large flat screen t.v., DVD player and my Wife was wowed by the towels in the bathroom.This is perfect for a couple, well contained.We have travel around the world and this must rate as probably the best condo we've rented. Jeremy from Padre Escapes was very helpfull, we had one minor problem, fixed immediately. One thing that needs fixing and its not to do with the condo but with the complex itself.They have great clubhouse which houses a good gym and sauna ext, a good size pool and here's our beef, it not heated. The water was bone chilling and if this was addressed this would be the place to stay in CC. Great to hear world travelers like yourselves are so impressed with the property! We greatly appreciate your feedback and agree with you 100% that it would be very nice if the pool was heated! Thanks again and we can't wait to have you back! Close to the beach, nice large pool, safe atmosphere and I love the condo unit - size is perfect for what we where looking for. The property was well equipped (kitchen). The pool was well maintained and clean. The key handover went smoothly. We had an amazing time!! The condo was perfect, super clean, and everything we needed was provided. We cannot wait to come back and stay in the same room!!!!! Glad you enjoyed yourself! We're looking forward to your return! When I first got to the condo and walked in it smelled nice and fresh!I love the feeling of a clean home.Every morning I sat on the patio and had my coffee it was so peaceful. After a long day at the beach you where able to come back and sit by the pool and barbeque that was nice. It was nice for a 2 night get away & needs a dvd player to keep the kids occupied. Thanks Kenneth, the owners just added a DVD player to the unit so it will be ready for you and the kids next time you're down! We had a great time and enjoyed our stay here. Management was very helpful with check in and out, the place was clean and had everything we needed. Our only complaint was that they were working on the outside of the unit the whole time we were there which was really loud and not mentioned to us. Overall though, we enjoyed it and this was a nice place. We apologize for the construction going on, we were hoping it would done by your arrival but unfortunately it was not. It should be done very soon though. We hope to see you again next you're down our way! We had a great time! This was an awesome location. We'll be back! Everything was clean, nice and it was a great location. My family and I plan to stay at this location again and again. Close to the beach, nice pool and size of the condo was perfect for us. Very much enjoyed it. My family and I had a wonderful vacation staying in this condo. It was very clean, nicely decorated and in a great location so close to the beach. The management company was professional and accommodating by meeting us on a holiday with our keys. The pool and grounds were nice as well. We will probably be back another time. The only negative is that one morning there was construction right outside our window with loud ripping and hammering that sounded like it was IN our room. Overall, convenient, safe and clean condo that we enjoyed! We're really glad your family enjoyed your stay. Sorry to hear about the construction disturbing you, it should be completed soon. We hope to see you again next time you're down our way! I had a work conference in Corpus and elected to stay at the condo instead of the host hotel. We had a great time and really enjoyed the location. The unit had all the things we needed, except for clothe hangers and no DVD . Thank you very much for the feedback. Hangers have been added to the unit and a DVD player will be added soon. Beautiful mini vacation spend on padre island. Padre Escapes vacation rental are always very professional and friendly, our unit was beautiful and we will for sure be back again next year! To begin, the staff at Padre Escapes have done a great job. They have responded quickly to have sink stoppers replaced, bathroom exhaust fan and ceiling fan repaired. They are a top notch organization. The problems we have are with the unit itself. It is dated and a fresh coat of paint won't fix it. The unit is listed as sleeping 4. This includes the king bed. A roll away bed is stored in the closet. It consumes half of the closet and the other half is used by spare bedding, pillows, etc. which leaves no room to hand clothes. This is a 2 person unit and should be listed that way. Also, there are only 2 dining chairs at the very small table and a love seat. Where are the other 2 people supposed to eat? The love seat looks good in pictures, but is worn out. It is very uncomfortable and needs to be replaced. Maybe it should be replaced with a sofa bed? This way, the roll away bed can be removed allowing the closet to be used as a closet. The rug is filthy and needs professionally shampooed. The entire unit was dirty. When we arrived, we used paper towels to clean up dirt and hair in the corners and baseboards. A decent vacuum needs to be included in the unit. There is a broom and a cheap mop, but one cannot clean a rug with a broom! The analog thermostat needs to be replaced with a digital. Finding a comfortable room temperature is very difficult by sliding a lever up or down. The small window at the dining area needs repaired by professional window installers. The window can be raised, but won't stay up. The screen doesn't fit the window, so it's laying on the patio. The kitchen needs a normal sized waste basket like a 13 gallon. On the plus side, the AC and heat works. The stove, microwave and refrigerator all work and the dish washer works if you can stand the loud noise it makes. This unit was recently purchased and the new owner is planning on doing several upgrades. Thank you for the feedback. My daughter had 1 semester left of college so we rented the condo. It was an easy drive to school and easier to work. Very satisfied. The location was perfect, the size we rented was perfect Really appreciated the way the pool entrance was protected,outsiders could not just slip in, therefore the renters were able to enjoy the pool. Loved the place, was charming and comfortable! Great to hear you loved it! Hope we see you back again soon!